You have to love nature’s four legged critters to do what the guys and gals at the Northern Lights Wildlife Society are doing. 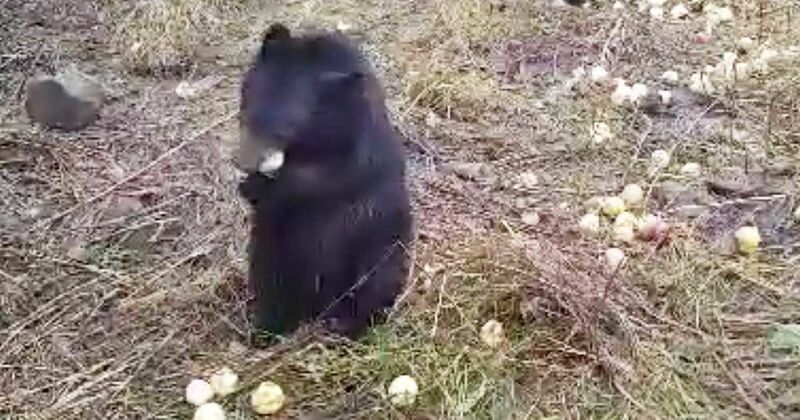 They recently threw a feast (or what could be equated to a house party to us humans) for a group of orphaned bear cubs. 25 hungry bear cubs were treated to an apple party thanks to the Northern Lights Wildlife Society. According to the organization, the fruits were donated for the purpose of feeding the orphaned cubs. Unfortunate events have left the little ones motherless, so the Northern Lights Wildlife Society stepped in. As seen in the video, the cubs are fed regularly to get them ready for a long winter’s hibernation. Another interesting thing about the video is that most of the cubs are either twins or even triplets! How the folks at the Northern Lights Wildlife Society can tell the difference from one cub and another, (let alone twins) is anyone’s guess. Based in Smithers, British Columbia, the Northern Lights Wildlife Society has rehabilitated nearly 400 bears in over 26 years, according to CBC News. But after they’ve been released into the wild, the bears have yet to look back. The British Columbia-based wildlife society shared the furry feast on its Facebook Page, and (not surprisingly) the video quickly gained over four hundred thousand views. Check out the video below, and SHARE if you like it!